To enjoy the benefits of X-Tube and Aircore technology requires a precise termination process that can sometimes be time consuming. No Longer! 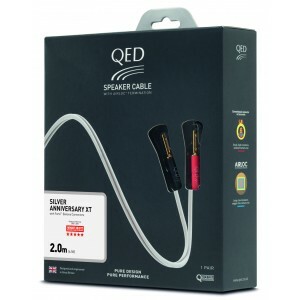 QED's pre-terminated speaker cable range features copper and silver variations of both X-Tube and Aircore speaker cables, and uses QEDs superior Airloc cold weld system, a multi award winnint speaker cable range is now an even more attractive proposition. For any other bespoke lengths and requirements, you can continue to order QED cable from Audio Affair as normal. 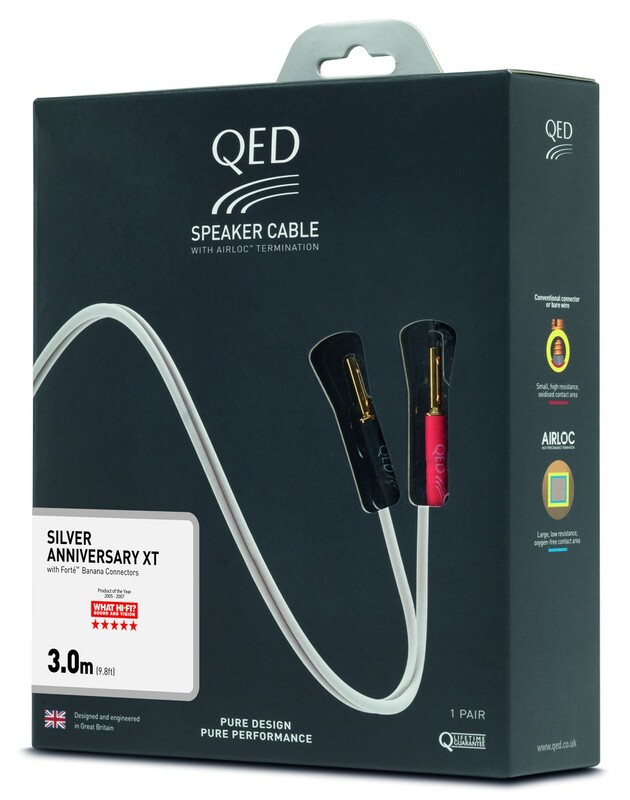 The QED Reference Silver Anniversary XT combines the features of the award winning Silver Anniversary speaker cable with X-Tube technology to combat the skin effect and deliver stunning detail. At low frequencies both X-Tube and conventional stranded/solid core speaker cables convey signals in a linear way. However, at high frequencies, X-Tube retains a near-linear signal transfer, whereas the conventional cable fails to conduct uniformly across the entire conductor area. The result is that X-Tube delivers greater fidelity across the audio spectrum which would other wise be lost in ordinary cables. To complement this, a high performance low density polyethylene dielectric cuts down on the amount of audio signal energy lost due to cable capacitance.